In the 1970s, German art-rockers took psychedelia and added hypnotic drumbeats and innovative synthesizer sounds to create a style known as Krautrock. Jim and Greg dissect the Krautrock genre and its influential bands like Kraftwerk, Can, and Faust. Plus, they remember the late Maggie Roche of The Roches. A couple of President Donald Trump's first executive actions have some musicians worried about their art and their livelihoods. This week President Trump tapped Ajit Pai as the next chairman of the Federal Communications Commission. The pick has indepent music labels and artists worried about the future of net neutrality rules. Net neutrality is the practice of requiring internet service providers to treat all wesbties and apps equally, and not provide premium services for individual companies. For example, allowing for quicker access to one music streaming service, while slowing down another. Pai is a noted critic of net neutrality and feels the regulations get in the way of innovation. He recently said it was time to take a "weed whacker" to net neutrality. Additionally, the Hill recently reported that President Trump's budget may eliminate funding for the National Endowment for the Arts. That organization provides funding for artistic endeavors including music. Jim and Greg devote this episode to dissecting the '70s German art-rock movement known as Krautrock. The Krautrock bands themselves, however, preferred the term "kosmische Musik" (cosmic music) to describe their spacey, pulsating freak-outs that combined psychedelia with the electronic innovation of classical composers like Karlheinz Stockhausen. Kraftwerk pioneered the use of electronic instruments to achieve an industrial sound. Neu!, initially an offshoot of Kraftwerk, introduced a hypnotic drumbeat called "motorik" that has been copied by bands for decades. (Check out our 2010 interview with Neu! founder Michael Rother). Jim particularly highlights the inimitable metronomic drumming of Can's Jaki Liebezeit, who died on January 22 at age 78. For Greg, the band Faust was the prime example of the movement's willingness to experiment. Jim and Greg also trace the incredible influence of Krautrock on music that followed. In the rock world, the German bands have been a touchstone for indie rockers like Stereolab, shoegazers like My Bloody Valentine, post-rock bands like Tortoise, and much more. But the influence is perhaps most pronounced in electronic dance music. It's hard to imagine Detroit techno, Eurodisco, or ambient techno existing without these cosmic forerunners. Co-founder of The Allman Brothers Band, drummer Butch Trucks, has died at age 69. 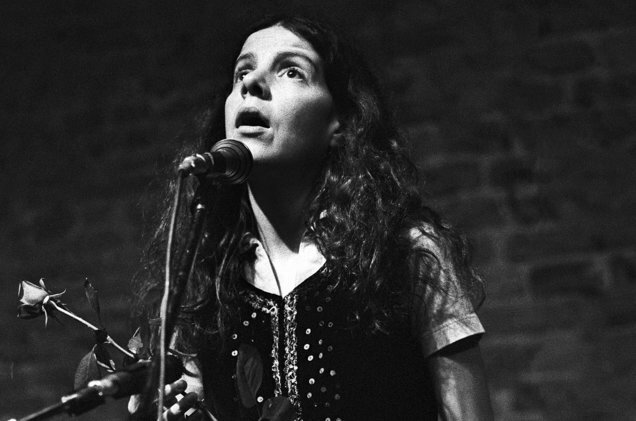 Another musician from that '70s era of folk music also died recently, Maggie Roche. Roche was one third of the sister band The Roches, who created music that was layered with beautiful harmonies and intelligent, feminist lyrics. Maggie was 65 years old, and was the heart of the band's feisty and bright spirit, writing many of their songs like "The Married Men." Greg chose this track because it's a great example of how Roche took a unique perspective and approach to every story she told through song.